NEW YORK (Reuters) – The amount that drugmaker Mylan NV avoided paying the U.S. government in Medicaid rebates for its EpiPen emergency allergy treatment since 2007 likely exceeds a proposed $465 million settlement the company announced in October, according to a study by private drug pricing experts published on Monday. 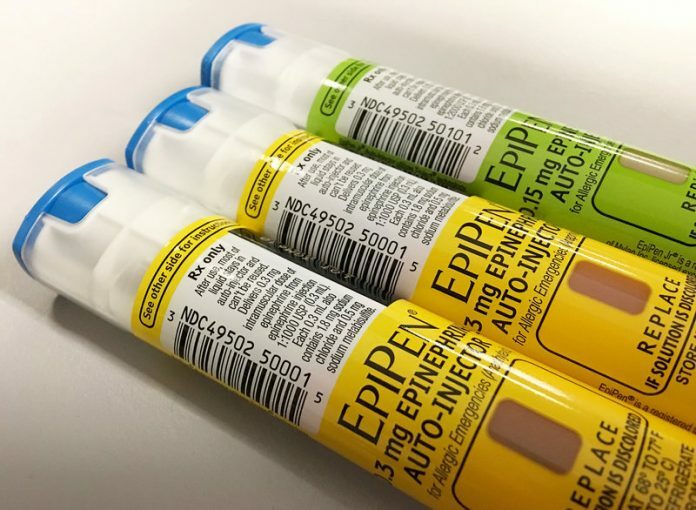 Mylan, which was already under fire for steep price increases on the devices, said in October it agreed to settle with the U.S. government after it was accused of improperly classifying EpiPen with the Medicaid Drug Rebate Program as a generic treatment. Mylan, which said earlier this month that it was still working to finalize the settlement, did not admit wrongdoing. Drugmakers pay a rebate of 13 percent to state Medicaid programs on sales of generics, rather than a minimum rebate of 23.1 percent on branded drugs. According to estimates in the study, Mylan avoided paying more than $426 million in rebates between 2012 and 2016 by classifying EpiPen as a generic. The amount Mylan underpaid Medicaid may exceed the settlement, the study’s authors suggest, because their estimate covers two EpiPen formulations over only four years. Mylan acquired EpiPen in 2007 and it had been classified as a generic since 1997, according to the Centers for Medicare & Medicaid Services. The study was conducted by Jing Luo at Brigham and Women’s Hospital in Boston, and Aaron Kesselheim and Jerry Avorn at Harvard Medical School, and published in JAMA Internal Medicine. EpiPen is an automatic injector, delivering a dose of life-saving epinephrine to treat severe allergic reactions. Mylan doubled the price of a pair of the devices to $600 last year, up from $100 in 2007. In response to the furor, Mylan launched its own generic version of EpiPen priced at $300 for a two-pack. A separate study published in the same journal said that from 2007 to 2014, patients? average out-of-pocket spending on EpiPen more than doubled to $75 a year from $34 a year. The proportion of patients with out-of-pocket costs of at least $100 climbed from 4 percent to 18 percent during the study period, while the share of patients with costs of at least $200 increased from 0.1 percent to almost 5 percent. A Mylan spokesperson declined to comment on the Medicaid study. In January, Mylan said that about 90 percent of consumers who got its brand or generic EpiPen had an out-of-pocket cost of less than $50. During the same time frame last year, 80 percent of patients paid less than $50 out-of-pocket, the company said.